When you’re at home, it’s likely that you’ll spend a large part of your time in the garden. During the summer months, you’ll no doubt be relaxing and perhaps reading a good book. You may even invite friends and family over for a BBQ. And when it’s colder, you can look out at your garden from indoors and watch as your plants begin to flower and bloom. There’s no denying that many homeowners are proud of their gardens. Of course, there are a few of us that look at our gardens in despair! Why? Because we haven’t thought of any inspirational ways to improve them! If your garden is looking a bit unloved, today’s blog post has come to your aid! The following are nine ways to use reclaimed materials to brighten up your outdoor space. 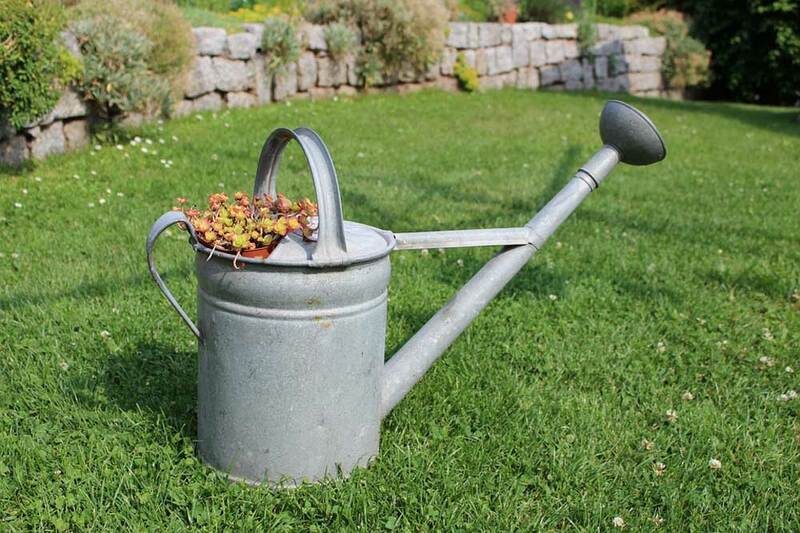 It’s likely that you’ll have some old watering cans lying around your garden. We often lose track of things in our garden, only to discover them hidden away in some far-flung corner! Old watering cans serve as decorative ways to grow small plants and flowers. To some people, they are the epitome of shabby chic. And, to others, they are just a unique way to grow things! Did you know that it’s possible to buy used railway sleepers? When I say “used” I mean previously used by a railroad company! 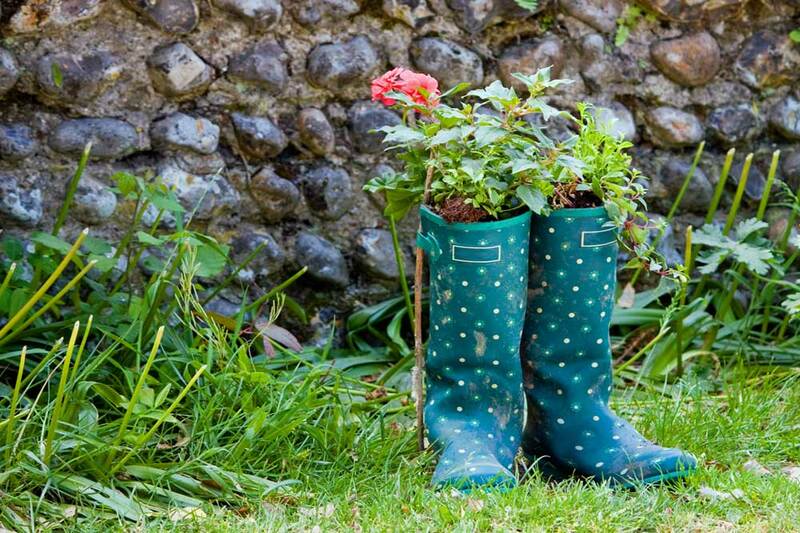 You can repurpose them in a variety of ways in your garden. For example, they can make attractive feature flower beds. You could also use them to build some borders around your garden. Or you might wish to adapt them into a unique bench. In case you didn’t know, pallets are strong bases for companies to store and ship dozens of products. When they are no longer needed, they end up getting destroyed. 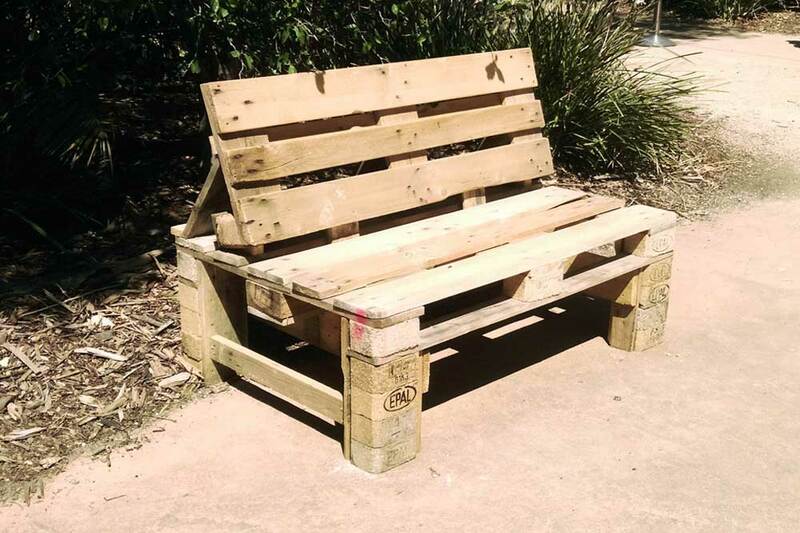 You could save some pallets and use them in your garden! They offer a variety of interesting uses. For instance, some people have converted them into vertical growing areas for walls. Others use them as chairs! Have you spotted some discarded tires lying around somewhere? If so, don’t just leave them there: take them home with you! I’m not suggesting you use the tires on your car. Instead, give them a coat of paint and repurpose them as unique flower beds! The great thing about tires is they are durable enough to hold soil. But, they are light enough to move to different locations in your garden. It’s likely that you will recycle your food tins once you’re done with them. You should consider setting some of them aside and using them in your garden. 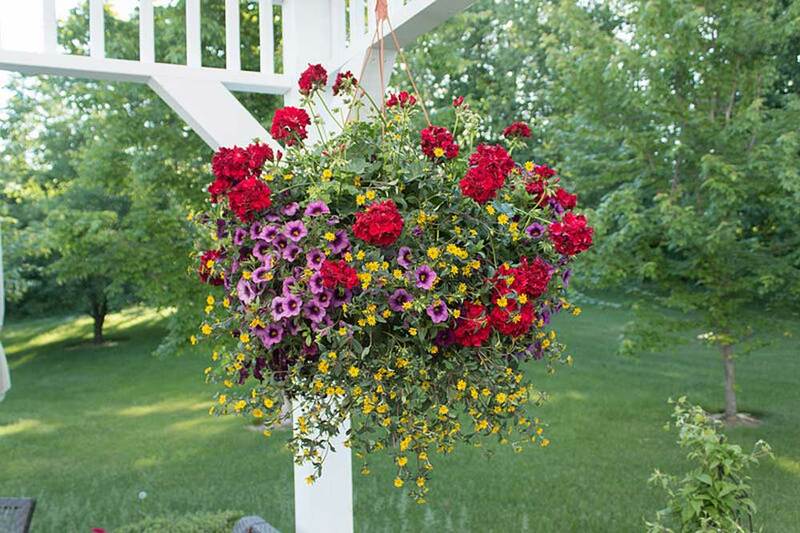 With the addition of some cheap chains or rope, you can convert them into hanging baskets! Or, should I say, hanging tins! They are ideal for growing small plants and herbs. The sad truth is that a lot of old, unused bicycles end up rusting or going to landfill. Did you know that you can make many creative items out of ordinary bicycle wheels? For instance, you can use some to build a dome! They are perfect for climbing plants. Once those plants grow, they’ll cover the dome and hide the wheels themselves. They can make for an interesting talking point whenever you have guests visit your home! We all know how useful rubber boots are. They allow us to work in damp or muddy areas outdoors without getting our feet wet! But, as with most things in life, they have a limited lifespan. You might think about throwing your old boots out in the trash or recycling them. One thing you could do is keep them at home and grow some plants in them! We all seem to have a few old ladders lying around the house. The truth is, we only need one set of ladders! Consider using some of the unused ones as attractive garden features. You could put some small plant pots on them, for example. The creative person in you might even use old paint pots to grow plants in, and put those pots on the ladder. How cool is that? Plastic bottles are another type of household item that we usually recycle. Keep some of them aside and convert them into nifty planters! All you have to do is cut a hole on the side of them and fill the bottle up with soil and plant seeds. You could attach some chains or rope to them and hang them up from a wall!